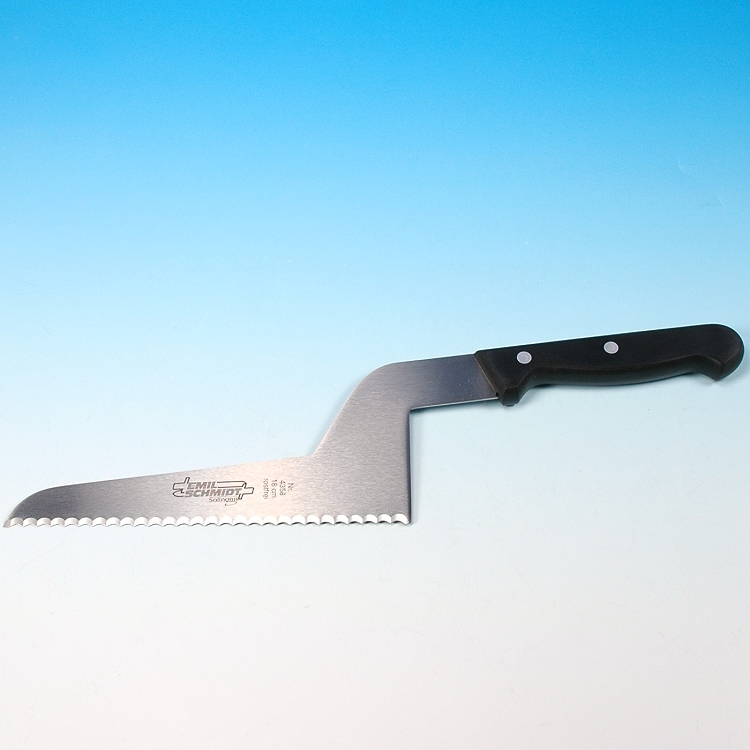 Highest-quality stainless steel "serrated" blade. 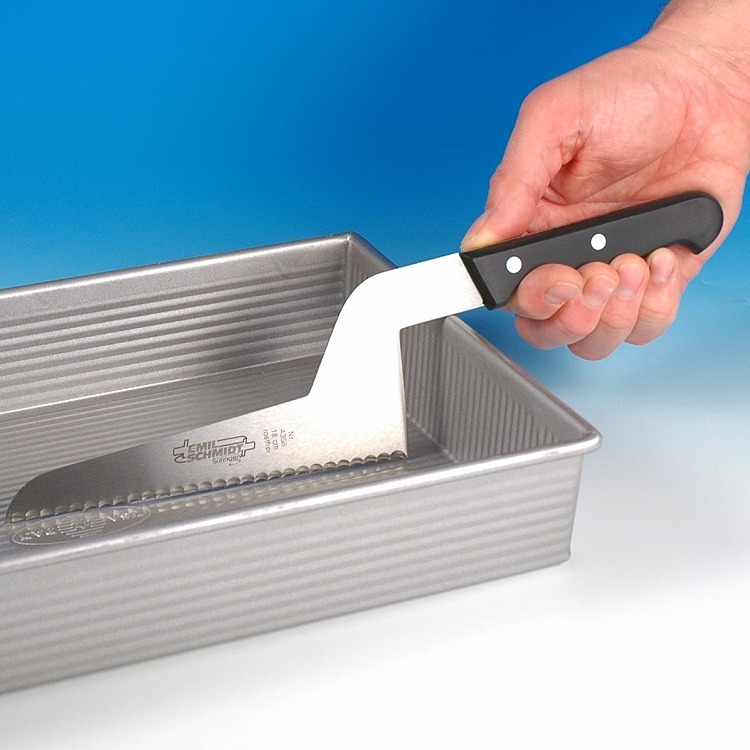 Off-Set Blade to facilitate slicing baked and cooked items within a pan or tray. Overall knife length: 13 1/4"
Overall blade length: 8 1/2"
Serrated blade length: 6 3/4"
90° offset length: 2 1/2"
Full tang with riveted handle. Comes with a storage sleeve.